Welcome to my website documenting the results of my winter “makeover” project. 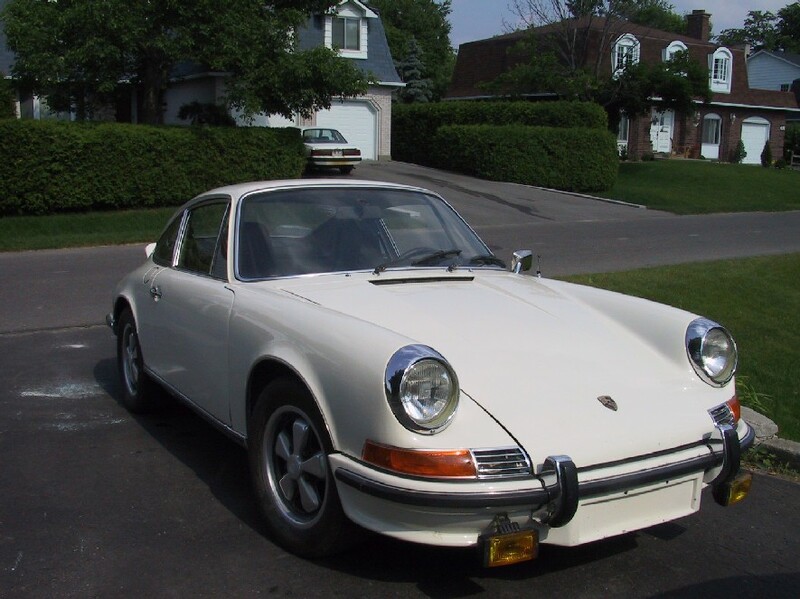 Gretchen is a 1972 911T that I purchased June 2001 and slowly (?) modified to a Track/Street car with a 3.6-liter conversion. Most of the work was done by me in a very cold, unheated Canadian garage this past winter with the exception of the Alignment, Corner-Balancing and Transmission work. She’s not quite finished yet but she is getting very close. She is nearly complete with the exception of a rear fender re-spray to finish the RS flare installation. A complete bare-metal repaint will be done next winter with a Grand-Prix White/Blue RS scripting scheme planned. She weighs in at 2370 pounds wet, without a driver and is putting out about 260hp at the flywheel. This combined with a light flywheel, re-geared transmission and limited slip, results in a very nimble and very fast car. The throttle response is equivalent to the early 911s with MFI. She is an absolute blast to drive on the track and is a real rocket on the street. Definitely looking much more aggressive. She’s looking a little dusty and her exhaust tubing still needs to be sorted but she gets the job done. She ran very well at her first outing at Mosport that weekend. She is a real joy to drive. The combination of the lightweight early 911 tub, modern suspension parts and a powerful 3.6 with bags of torque is a wonderful experience. She has tremendous grip and can really power through the corners. She runs out of breath on the back straights but that is because she is geared for a shorter track than Mosport. I had always been interested in cars since elementary school. My early mechanical experiences were working on various cars that we had. None of them were even remotely sporty but fun to work with nonetheless. I had always been mechanically inclined and self-taught by reading and working with others who were mechanics. I think what attracted me to Porsche was its racing-based development history and its evolutionary story. In the spring of 2001, I decided (with the approval of my wife, of course) to purchase a “toy”. It was to be my first 911 and my first Porsche. 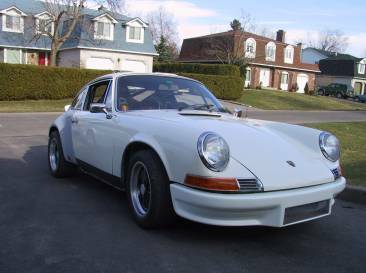 I had narrowed the search to either an Early 911 or a 930. Both those phases highlighted, what I felt to be an ideal moment in Porsche evolution. The Early 911’s were reputed to have the telepathic steering and response due to its, weight, suspension geometry and engine output. The 930 was every boys dream, a car that could take all comers but demanded respect from its driver. 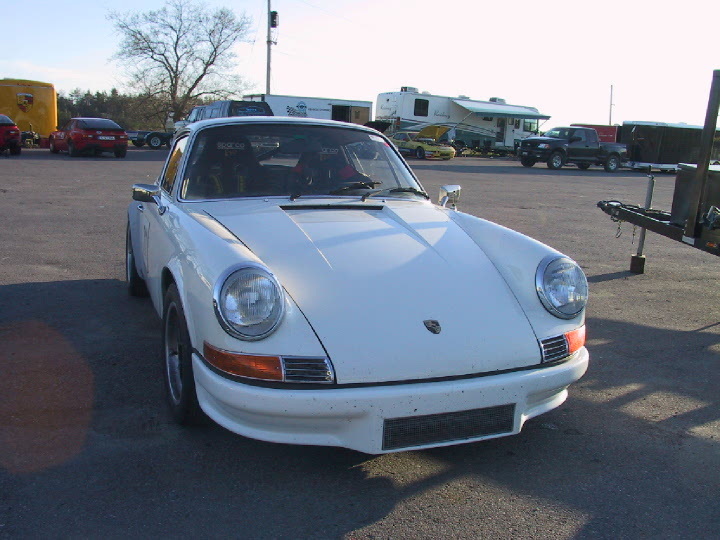 In the end I settled on an Early 911 due to its lower initial cost and less demanding learning curve on the track. This also meant that I could spend more on configuring the car to be the platform I wanted. I ended up looking at, test-driving and buying “Gretchen” on the very same day. I did not have a professional Pre-Purchase Inspection and was lucky. If I were considering the Turbo or any car for that matter, I definitely would have had a PPI performed. My objective was to do as much of the work as possible and learn what I could via the available manuals and the Pelican Parts Bulletin Board. For those who haven’t found that site, it is an unbelievable resource. If you have ever wondered how something works, how something is fixed or what something is, this is the place to get the answers. I had most of the tools I needed and a reasonable amount of garage space to do the work. For me working on the car was 50% of the enjoyment, well maybe 30% nowadays. What I’ve learned during this process is that it is important to research and speak with as many people as possible to determine what your objectives are. Is this going to be a daily driver? What is the ratio of Street versus Track usage? What is my tolerance for a rough riding suspension? How aggressive/competitive do I want to be on the Track? Did I want to be able to drive to the track? Do I plan on competing in a specific classification in the future? My initial plan was to convert her to a modest RS-clone. I knew that I would be taking her to the track on Driver’s Education Weekends and had some great tracks nearby. 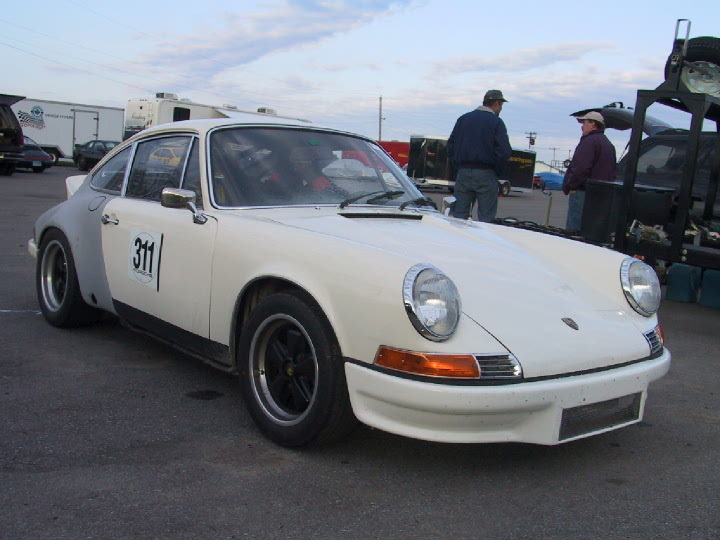 My Porsche Club of America region is Rennsport and schedules DE events at Circuit Mont-Tremblant. The neighboring region, Upper Canada Region, uses Shannonville and Mosport. Mont-Tremblant and Mosport are beautiful tracks and very demanding. I was eager to get started and see how she performed. As part of the original plan, I consulted with Steve Weiner at Rennsport on my options regarding the 2.4-2.7 engine that I had and how much power I could extract from it. The engine had a lot left in it based on the stage it was at. At this point I had decided to build a hot-rod 2.7 based on my existing engine. This should have put out 220-240hp at the flywheel. The cost would have been around $7000-$12,000 including labor. Because I wasn’t comfortable with doing the engine mods myself, I had to factor in expensive engine build costs. After acquiring some of the parts, I finally found the Pelican Parts Technical Forum and Website and started reading what people were doing and why. This is where I bumped into people like Jack Olsen, Thom Fitzpatrick and Bill Verburg who were extolling the virtues of a 3.6 conversion and installed 3.6 engines from the 964 into earlier bodies. It didn’t take long for me to see the light. 3) Power was going to be equal or better, Torque was going to be way up. 5) A higher baseline to build upon should I desire more horsepower down the road. The most important lesson I learned was that all modifications should be considered as part of an entire setup. Engine, brakes and suspension modifications should be kept in balance to maintain a safe performance envelope. I think the most dangerous situation would be to heavily modify the engine without changing the braking or suspension systems.